Panther & Co. runs a daily service to the East Coast. Listed is the procedure Panther utilizes to provide the best LTL service for seafood merchandise. We can assure our customers that their cargo is in excellent hands. • The orders are received daily from our customers by via email to the destination in which they advise. • When the orders are ready for pick up our drivers receive product from various warehouses throughout Miami. The driver counts and signs the bill of lading to ensure that all the cargo is received and accounted for. • The driver returns to our facility and the cargo is then off loaded into our warehouse. • All the cargo is organized by destinations such as Maryland, Philadelphia, New Jersey, New York, and Boston. We can always run new routes depending on the volume and the destination. 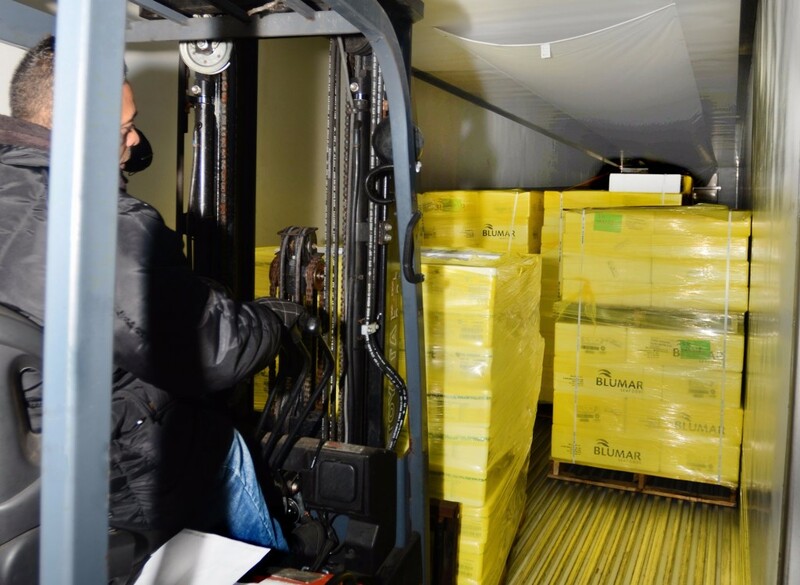 • Once the orders are assembled, the pallet and the product are all strapped together. This new system has helped us to ensure there is no damage or theft affecting the product. • We as well secure the product by putting additional stretch film around the pallet. We are taking the next step and using a yellow color stretch film to know it came out of our warehouse facility. • Once the driver is loaded he then begins his trip up to the east coast. • On all of our units we have a GPS system to know where the drivers are at all times. • Whenever there is a problem we are on call 24/7 to assist the drivers for whatever problems that may occur. • All of our equipment is EPA and DOT certified, and no older than 4 years old. We do this to have top-quality equipment and to ensure that we can provide excellent service to our customers by trying to prevent any breakdowns on the road with newer equipment.